Home Directories	Smarty Giveaway: Win a FREE week of Camp Thunderbird, a $910 value!! Smarty Giveaway: Win a FREE week of Camp Thunderbird, a $910 value!! As promised, we bring you giveaways galore this camp planning season! 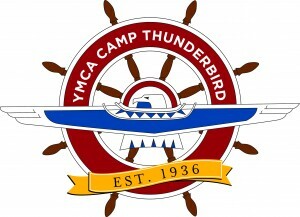 Today we bring you a free week of camp at YMCA’s Camp Thunderbird – woot, woot! Camp Thunderbird is an A-M-A-Z-I-N-G co-ed resident overnight camp for kids 7-16 and a day camp for kids 5-12 in Lake Wylie, SC – conveniently located only 20 minutes from Charlotte. Camp Thunderbird’s 1.7-mile shoreline provides the ideal backdrop for life-changing experiences. For more than seventy five years, Thunderbird’s pristine 100-acre campus on the shores of Lake Wylie has welcomed campers wanting to escape the buzz of city life. Since 1936, Camp Thunderbird has provided thousands of kids an unforgettable experience that includes adventure, fun, and friendship! 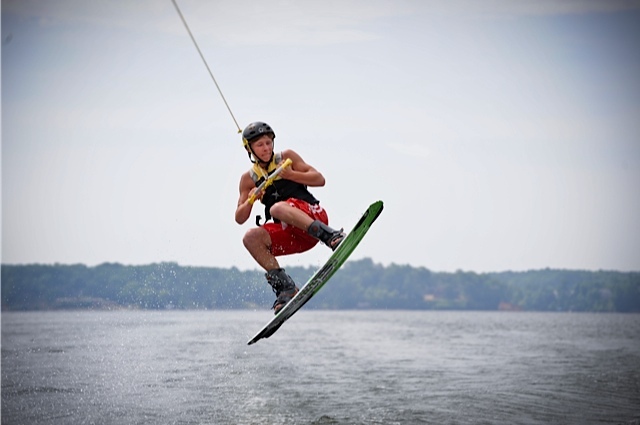 Camp Thunderbird has nationally-recognized water programs, including wakeboarding, water skiing, sailing, kayaking, canoeing, water slides and “the Blob”. They offer 28 land activities including horseback riding, skating, high and low ropes courses, sports, and crafts. This resident camp provides boys and girls an exciting, safe experience that they will remember for a lifetime. For those of you not familiar with Camp Thunderbird, check out their Open House on Sunday, April 12th from 1-4p. Meet the 2015 staff and directors at Camp Thunderbird and find out what’s new for summer 2015. Learn more about the nationally-recognized water program and exciting outdoor activities, including wake-boarding, sailing, ropes course, zip line and more. 1) Fill out this brief survey, this is where we’ll pull contact information if you win. 2) Like and share this post on your facebook wall. You must like CSP on facebook and Camp Thunderbird on facebook. 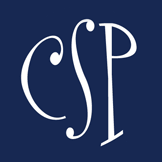 3) You MUST be a CSP enewsletter subscriber. 4) Tell us in the comments below what you think your child will like most about Camp Thunderbird. We’ll pick our winner on Thursday, April 26th. Good luck, Smarties! I think my son would love the water sports! My children would love all the activities but would especially enjoy the feeling of independence that the experience of sleep away camp provides. My kiddo would love Quidditch! My son has been several times with his father for Y-Guides and it’s one of his favorite places on earth. He loves the zip line the most though. And archery. A break from non-stop fighting with his brother after 8 weeks of summer together! I think my daughter would love all the water sports and the zip line! My son would love the zip lines and meeting new buddies! I think she would love all the water activities! 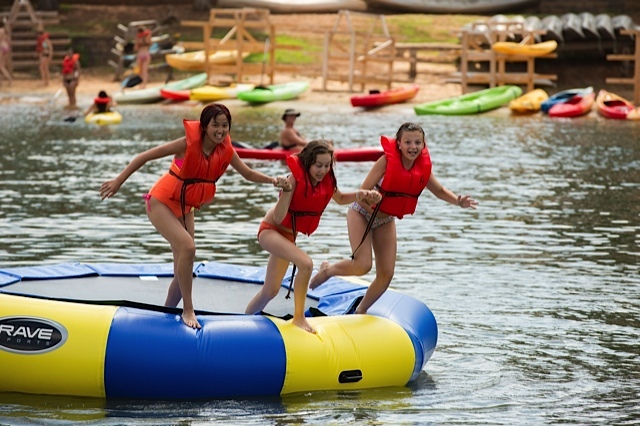 My girls would love the zip line , water activities and all the fun Camp Thunderbird has to offer! She would like all water activities! My rising 3rd grader would love making new friends most of all…but also all the amazing water and land activities! As a teacher we can’t afford luxuries like overnight camp. My son would love all the water activities and just overall experience of being independent for the week! My daughter would love the adventure! My kids would love every bit of Camp Thunderbird. They’ve asked to go for years!! My daughter would love all the cool water sports they offer. Thunderbird is where I learned to sail as a child! I just wanted to double-check the dates as the ones listed are a 2 week period. My 13 yr old son is a huge water activities fan. I cannot keep him out of the water in the summer. He would love this! My daughter would love the getting wet and muddy too (if that’s involved). Anything water related. My daughter loves water sports! She loves to meet new friends and would enjoy the opportunity to develop new friendships! My son would love the water activities! I think my son would love everything that Camp Thunderbird has to offer! He has asked me repeatedly if he can go to a summer camp. This would be perfect! My son is the oldest of three and he will really enjoy the independence of going away for a week on his own. I grew up with these experiences and I’ll never forget them….I look forward to my kids having their own experiences like I had. My son will love the water sports! All of the outdoor sports and fun! I know he would also enjoy the opportunity to make new friends! Going to summer camps as a child has left me with some of the best memories that i would love for my child to have as well! My kids would love the zip line and the cafeteria! My daughter really wants to try the water activities offered at Camp Thunderbird! My daughter will probably enjoy everything because she has never been away at camp. My daughter would love the horses, anything that happens in the water and making new friends! What an adventure! My son would love the challenge course and all the water activities! My children have done the day camp and absolutely loved it. Their favorites were the water slide and the talent show! Our son would love the independence of an overnight camp! He would most likely enjoy the water sports the most!!! Thanks for the chance! My son loves the outdoors and talks about camp all the time. She would love to try water sports for the first time! I have 3 kids that would all love a chance to go to Camp Thunderbird for all of the fun outdoor activities, especially water sports! This would be my 7yr olds first official sleepover camp! She would love to meet new friends and make crafts!! But her favorite will be the water activities!! This would be my daughter’s first camp experience. She would love to meet new friends and will enjoy all of the water sports! My nephew would be absolutely THRILLED! He is such an outdoor enthusiast. I can’t go a day without him asking me to take him kayaking! This camp would mean the world to him, and teach him life lessons other camps can’t teach. He is super outgoing and gets along with anyone! My girls would love every bit of it but maybe the water sports most of all. Water sports for sure would be his favorite!! My son went here for a school trip and LOVED it! He still talks about all the adventures they had! Thanks for the opportunity! My daughter would love the fun of it. He would love it all! My daughter would love all of the different activities offered, and the location. My daughter would love experiencing camp life for the first time. I feel it would give her a sense of independence. She would love the various land activities and being encouraged to try new things which is important at her age. Ziplining would be an incredible new experience for her! My son would love the water activities and making new friends and memories!! My son would love the archery!! Independence and just having fun! my daughter would love the water sports! Kids will love the water activities!! I think my daughter would love the water sports and the zip line! I think he’s love being away from home and playing the whole time! My girls would love the option of being away from home and experiencing time alone. They would love to meet new friends and bond. Of course, they would love all of the water activities!! Both of my daughters would love all the water sports activities! My daughter would love the water sports! Being relatively new to the area, this would be a great way to meet people her age (14) . I have such fond memories of camp. Thanks for the opportunity!